Vicky Mlyniec’s short fiction has appeared in venues such as North American Review, Bellingham Review, and the Saturday Evening Post’s Friday Fiction series. Her writing has earned her the Tobias Wolff Fiction Award, and performances as part of the New Short Fiction Series in Los Angeles and Stories on Stage, Davis. Also an essay and magazine writer, Vicky has published nonfiction in a variety of newspapers and national magazines. 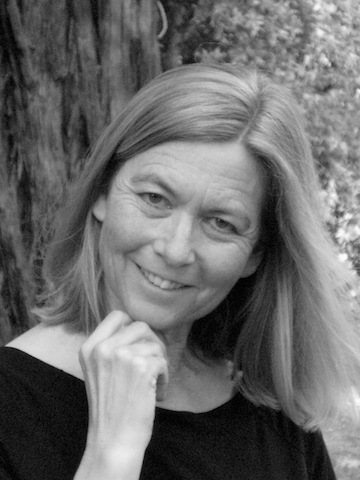 She is a long-time resident of the Santa Cruz Mountains, where she lives with her husband Paul and works as an editor. The retreat exceeded my expectations in all respects. The farmhouse was very comfortable and fully stocked with anything we might need. I was surprised by how much the setting contributed to the pleasure and productivity of my week at the vineyard. Also unexpected were four amusing chickens who free-ranged around the farm house, pecking at bugs and taking dust baths. They were gorgeous and very entertaining, and we got fresh eggs every morning. Also enjoyed visiting the newborn lambs across the street. What was the most enjoyable aspect of your collaborator/co-retreat? Being able to attend with my friend and fellow fiction writer Helen Hooper was not only fun but also invaluable. It's extremely beneficial to be able to trade work and discuss issues of craft and publishing with a writer one respects. The peaceful nature of the vineyard, the welcoming but unobtrusive staff, the gorgeous setting and proximity of many long walks were all both relaxing and inspiring. I worked on a variety of things. I prepared my short story collection for submission. In addition to revising several stories in the collection, I worked on another story in progress. I also identified several journals to submit to and have already received an acceptance. We enjoyed several walks a day, visited Luther Burbank's gardens in Santa Rosa, went on a hike in the Armstrong woods. We didn't spend much time cooking, but we enjoyed preparing simple meals and actually never set foot in a restaurant. Kathleen Inman invited us to a wine tasting of her wonderful organic wines. It was interesting to hear the story of the vineyard and to learn something about the winemaking process. Other than that, I enjoyed sleeping in and doing as much reading as I felt like. Only the obvious advice that they go with a partner who they not only like but also work well with. Helen and I don't write together, but we certainly work well together.